I'm not completely loving the photos of this mani, but it looked pretty awesome in real life, so I may as well still put it up here. 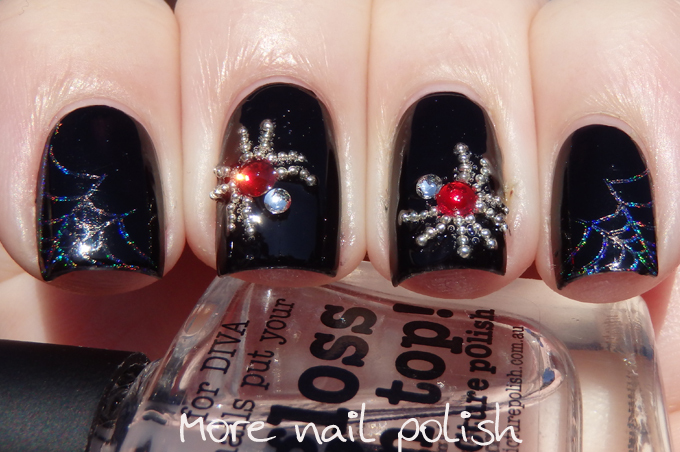 In an attempt to get into the Halloween spirit, I did these crystal spiders and holo cobwebs. Generally we don't celebrate (if that's the right word) Halloween. No one trick or treats here, no one gets dressed up for party's and it's really only in the dollar shops and out at Costco that you see any Halloween themed items. If I do crazy Halloween themed nails, people at work think I'm a bit strange. I usually have to explain to them that my blog has lots of international readers, particularly from the USA, and then they understand. With that in mind, I went with a more glitzy look than scary look. 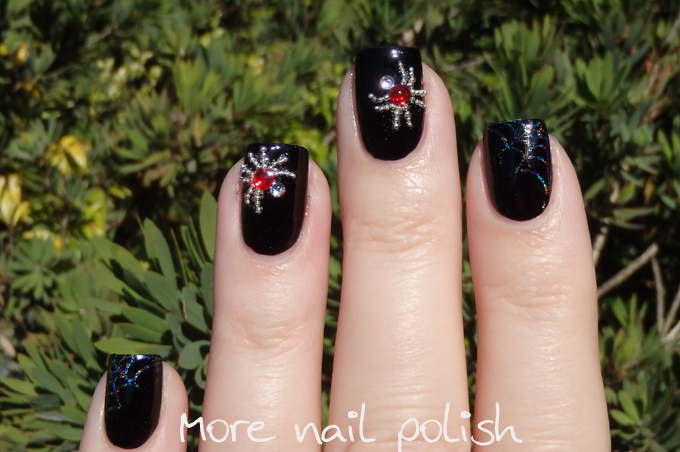 I created the spiders by individually placing each of the two swarovski crystals, and then every little silver bead for the legs (four on each leg, so 32 total for each spider). 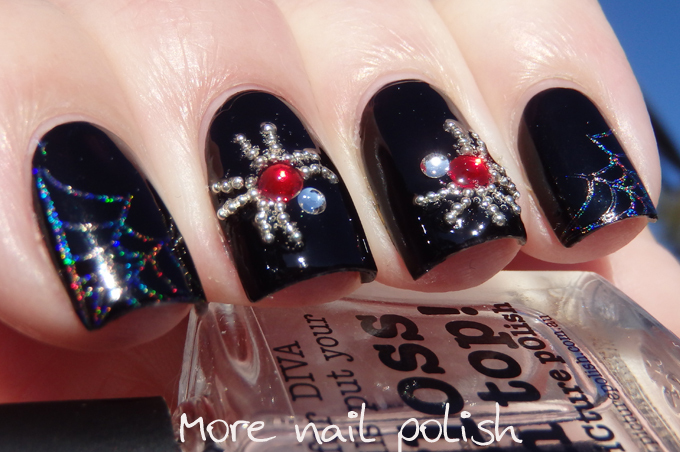 I stamped using Dance Legend T-1000 silver holo for the spiderwebs. They looked so delicate and awesome! I also announced the winners of the QA88 Born Pretty Store plate. I've just sent the emails to the 10 winners, so check your emails and the Rafflecopter widget to see if you won. I won! 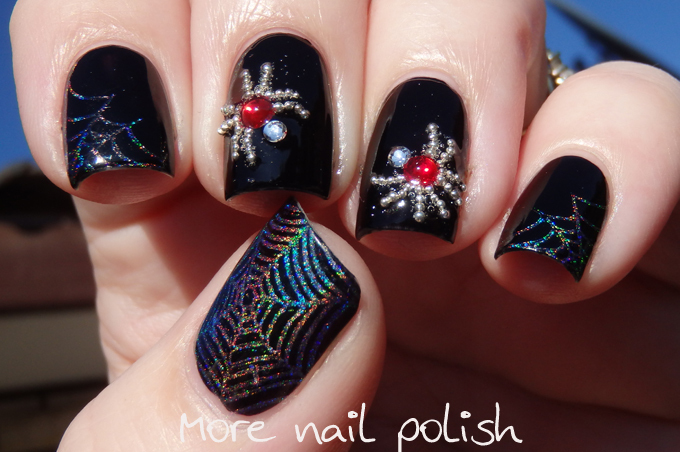 And I am SO in love with that holo spider web, must find a way to recreate this season! These are gorgeous! 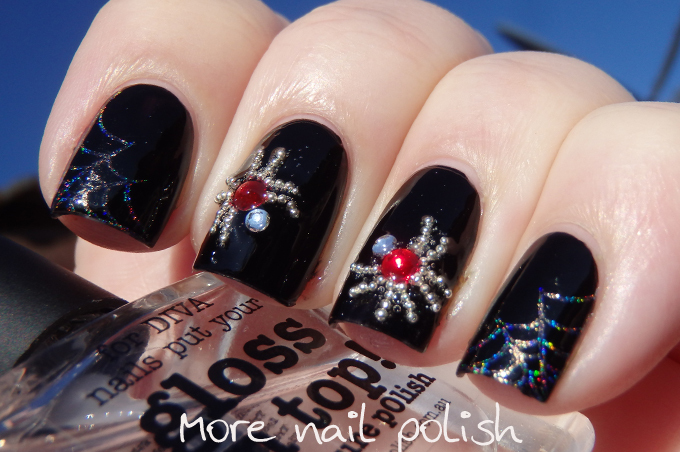 By far the cutest spiders I have ever seen :) Can't get any more girly than pearly spiders. Thanks for sharing!! I love these spiders! 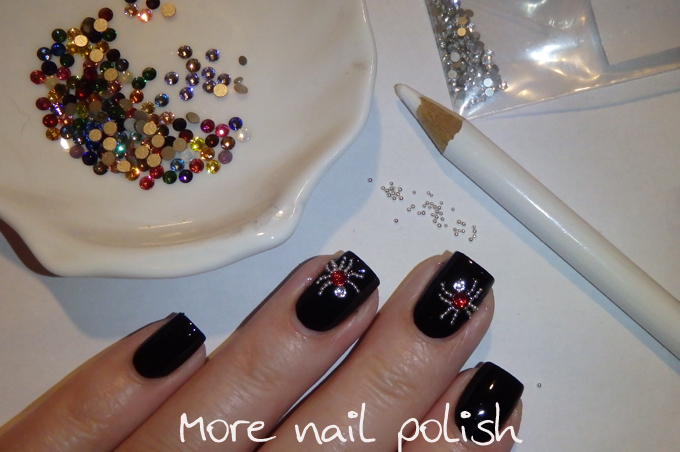 I was looking for little spiders to stick on my nails and I never thought of creating some myself like this... maybe next year!